The world was ready for his comeback that was supposed to happen in two weeks. 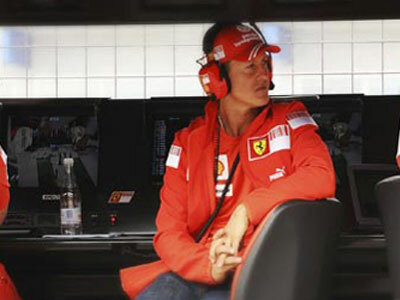 Come August 23, Michael Schumacher was to return to the tracks, in place of the recently-injured Felipe Massa. But that ain't gonna happen. On his website today, is the announcement of his cancellation: "I really tried everything to make that temporary comeback possible, however, much to my regret it didn't work out." He points to the motorcycle injuries he sustained last February as the main reason why he had to cancel his much-awaited comeback. "I am disappointed to core," says the F1 superstar. Well, Schumie you can take comfort in the fact that you're not alone in your disappointment. When you're ready to race, you know we'll be waiting.